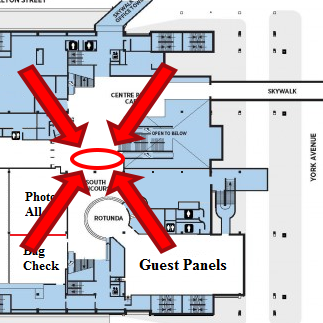 Be prepared for Ai-Kon 2017 and skip the ticket and registration lines on Friday by going to pre-registration on Thursday, July 20 from 4 PM to 8 PM on the 2nd Floor by the Presentation Theatre! Pre-registration will only be set up to handle WEEKEND passes, so other pass types will be turned away. If you haven’t been able to buy your ticket yet, tickets will also be available for purchase from the Convention Centre box office on the Main Floor. Unfortunately, Weapons Check will not available during this time, but it will be open at 1 PM on Friday, July 21!